SIX BITS: LSU not a must-win? Starks gets RAW. Kiper’s Big Board. Volleyball to be tested. 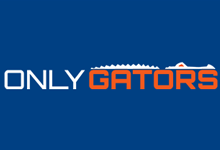 FOUR BITS: Gators offer Riley, Prather ready to work, Senior Bowl in Jax?